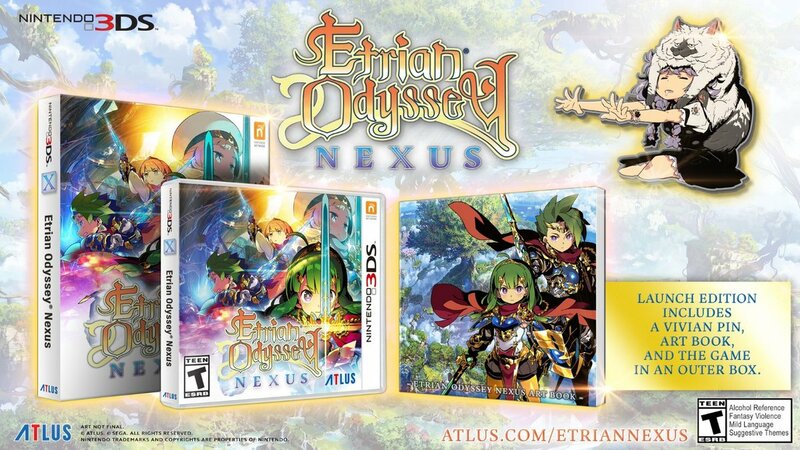 Atlus has taken to Twitter to show off the launch edition for Etrian Odyssey Nexus (known as Etrian Odyssey X in Japan), which is being considered the last entry on Nintendo’s dual screen handheld. 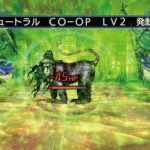 If you haven’t kept track, Etrian Odyssey has had ten games debut on Nintendo’s dual screen handheld systems (DS and 3DS) and those include remakes, new entries and spin-offs. Seems that the franchise will make its move to the Nintendo Switch soon, but what better way of saying goodbye to a long running franchise than getting the last entry? Pre-ordering the game or buying it on the day it launches will get you an exclusive art book featuring character art by Yuji Himukai and monster art by Shin Nagasawa, a pin featuring Vivian and a copy of the game itself in a special big box. If you are strictly a SEGA fan, the franchise (including this entry) features music by Yuzo Koshiro and as you know he is pretty good at making music. 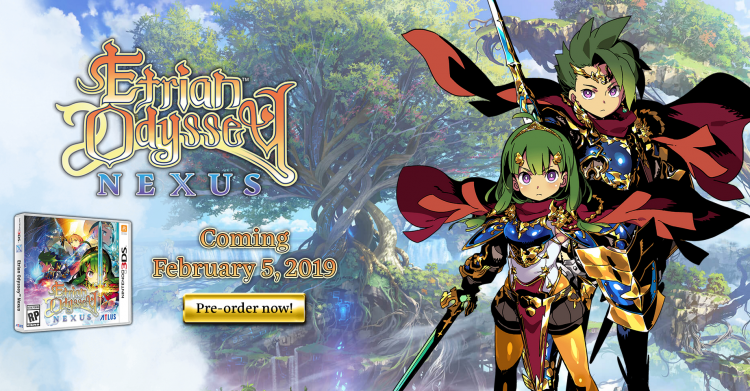 If you guys didn’t know, Atlus Japan has released a teaser for another Etrian Odyssey game, which lead people into thinking they are revamping the franchise for its future on the Nintendo Switch. If you never played a Etrian Odyssey game, it was one of the few RPGs on the Nintendo DS and 3DS that took advantage of the second touch screen to draw maps and thus not having a second screen on Nintendo Switch will change the gameplay up for future entries. If you guys didn’t know, Persona 3 Portable on PSP allowed users to pick the gender of the protagonist character from Male or Female. A lot of people online would rank Persona 3 Portable‘s female protagonist as one of their favorites in video game history. 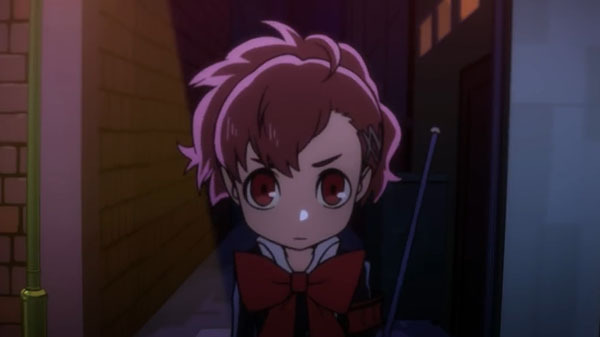 So when Atlus announced Persona Q2: New Cinema Labyrinth would feature Persona 3 Portable‘s female protagonist, people got excited, but worried she would have a minor appearance. 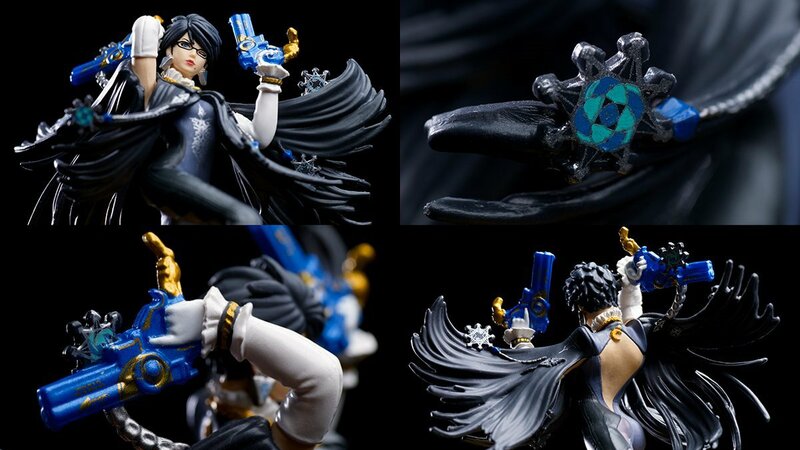 Don’t fret, the latest Weekly Famitsu has confirmed that shes a big part of the story. SEGA and Atlus are having a digital sale on mostly Nintendo 3DS titles. 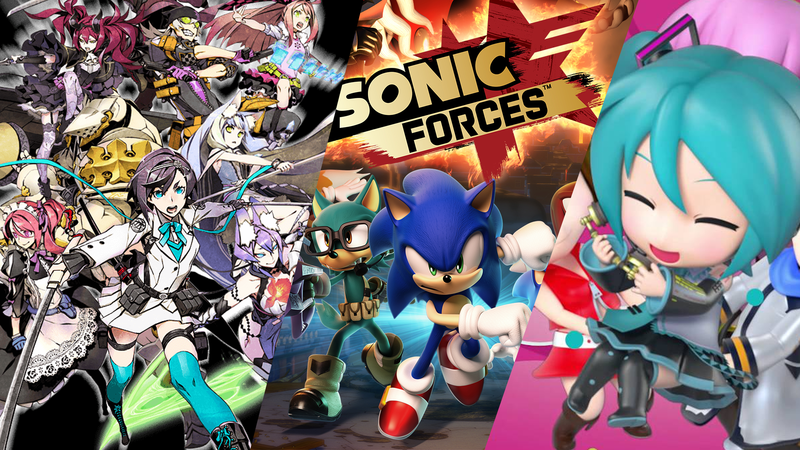 If you missed some of the more recent (last few years) SEGA 3DS games, then you are in for a treat. 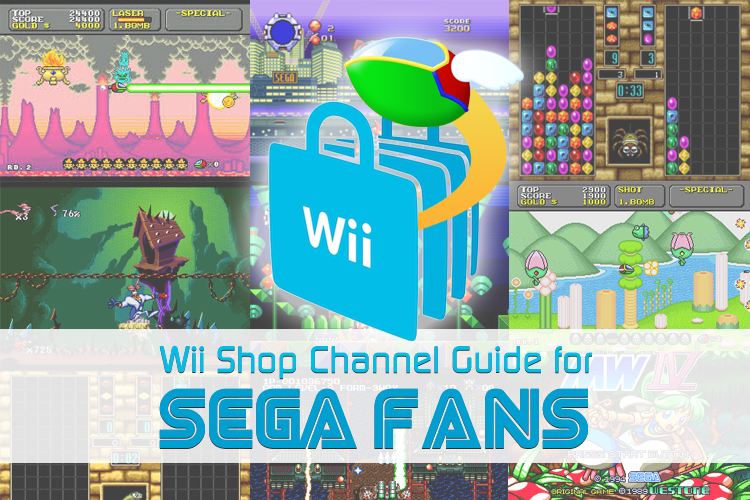 I totally recommend titles like Stella Glow, SEGA 3D Classics Collection, 7th Dragon III Code: VFD, and even Hatsune Miku: Project Mirai DX (if you like rhythm games). FuRyu, the developer behind the Roommania #203 spiritual successor Project One-Room (tentative title) has released the following teaser trailer for the game. We wrote an article about first details on the PlayStation 4 exclusive Project One-Room yesterday, but now we got an official teaser, including a website. The site lets you throw balls around the room, if you throw them at the radio a song will start. We uploaded that track on our YouTube channel for you to listen to. Sadly the website and teaser do little to give us new information. The producer of the game, Masaru Oochi, confirmed that the game won’t be a sequel or remake of Roommania #203, but rather than a homage title. While we don’t know who is publishing ‘Project One-Room‘ yet, it is weird how openly they are using SEGA’s Roommania #203 game footage, having artists from Roommania #203 and the title being announced on SEGA’s Tokyo Game Show stage. Don’t be too shocked if SEGA or Atlus announce they will be publishing the title considering that FuRyu’s upcoming The Alliance Alive on the Nintendo 3DS. (tho self published in Japan). What are your thoughts on Project One-Room? 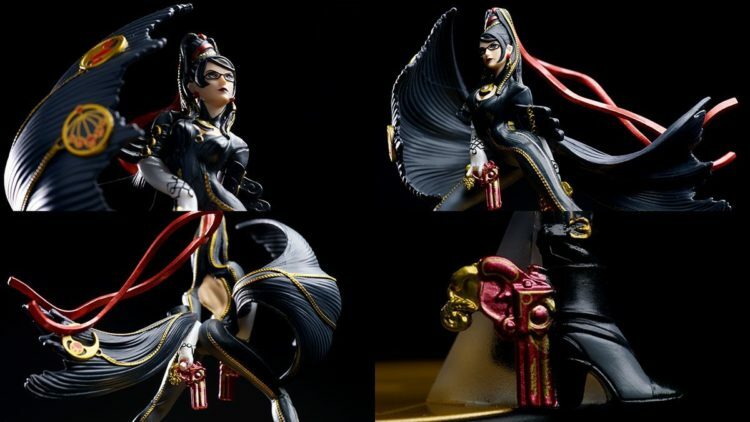 Do you think it has a chance of coming out outside of Japan? If you have been waiting for Etrian Odyssey V: Beyond the Myth for the Nintendo 3DS, it seems you can now play the demo since it has hit the Nintendo eShop. 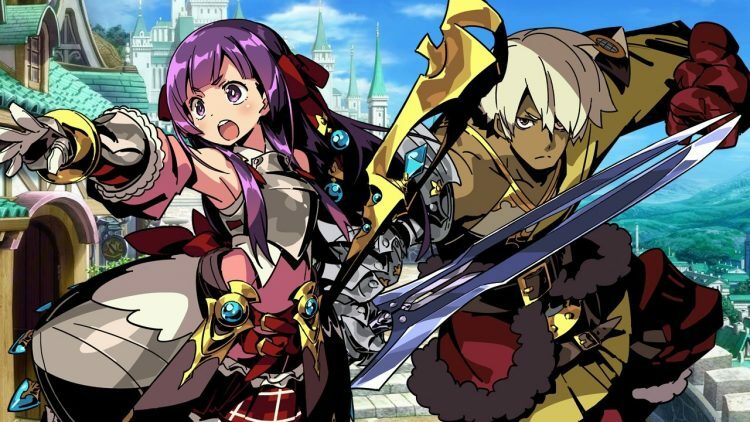 The Etrian Odyssey V: Beyond the Myth demo will let you create a party with every character and class available. The only limit imposed in the demo, compared to the full version is that it only lets you reach level 10 and explore until the third floor in the tree dungeon. But if you like Etrian Oydssey V: Beyond the Myth demo and you buy the full game, your demo data will transfer over to the full release. Pretty cool and worth giving the franchise a try, if you haven’t already. 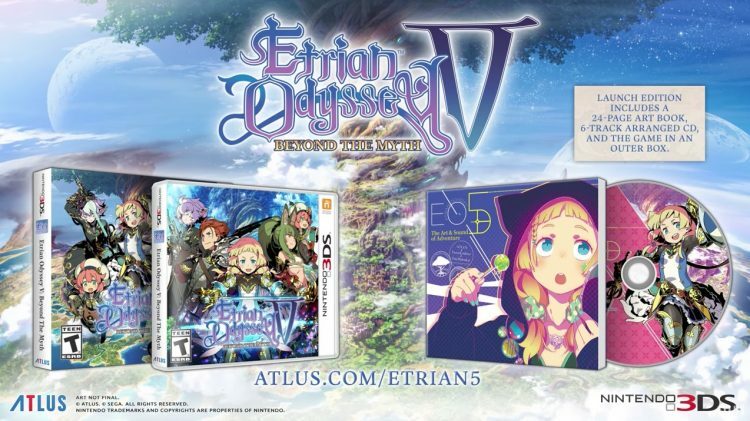 Etrian Odyssey V Beyond the Myth will also have a launch edition as shown above that will come with a 24-page art book, six track music CD and an outer box. SEGA fans might also like to know that Etrian Odyssey franchise features music by Yuzo Koshiro (Streets of Rage, Revenge of Shinobi), which to me is a huge selling point. 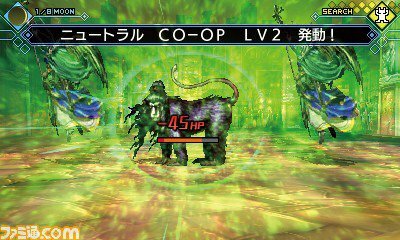 Etrian Odyssey V: Beyond the Myth comes out in North America on October 17, 2017 only on Nintendo 3DS. Atlus USA just released the new trailer above to announce that they will be bringing the “new classic RPG” by FuRyu studio’s (The Legend of Legacy) The Alliance Alive to the West. The game is exclusive to the Nintendo 3DS. The idea behind it being a “new classic RPG” is that the team took traditional RPG ideas and rebuild them for modern tastes. The story will have you and other humans going up against the authority of Amodians who have ruled over the world of hundreds of years. The world will be split into several zones where you will interact with unique cultures. The game even has nine playable characters and from what I gather has a similar art style to the team’s last game The Legend of Legacy. I personally picked up The Legend of Legacy on launch because I liked the art style it was going for and wasn’t all that impressed with the game. It was just alright. I hope The Alliance Alive is a lot better. 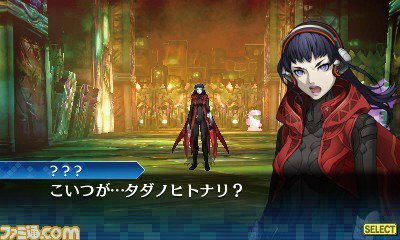 Atlus Japan has released a two minute gameplay trailer for the upcoming Nintendo 3DS port of Shin Megami Tensei: Strange Journey Redux, which compares the field graphics to the original released on the Nintendo DS back in 2009. 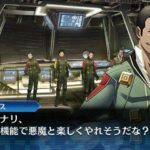 Shin Megami Tensei: Strange Journey Redux won’t just update the graphics but also promises new story content, additional endings, a new dungeon, and more surprises. 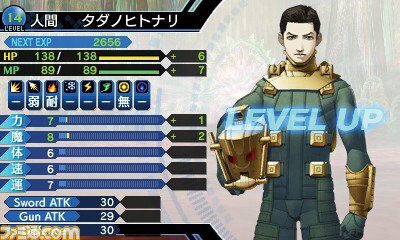 It would seem that Shin Megami Tensei: Strange Journey Redux is the definitive version of the 2009 Nintendo DS game. 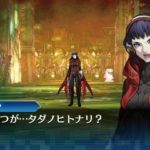 You can check out the trailer to see if the upgraded graphics on the Nintendo 3DS version of Shin Megami Tensei: Strange Journey Redux is worth the upgrade (that’s if you played it back in 2009). While the Nintendo 3DS doesn’t feature incredible in-game graphics, the jump from Nintendo DS to Nintendo 3DS is quite large. 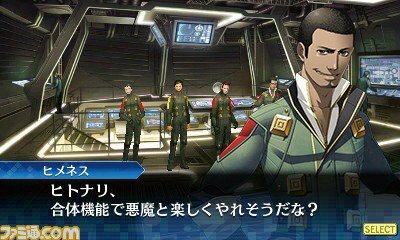 Shin Megami Tensei: Strange Journey Redux hits Japan on October 26 and hits the West sometime in 2018. 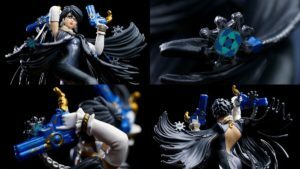 But what is your opinion on Atlus re-releasing older titles on Nintendo 3DS? 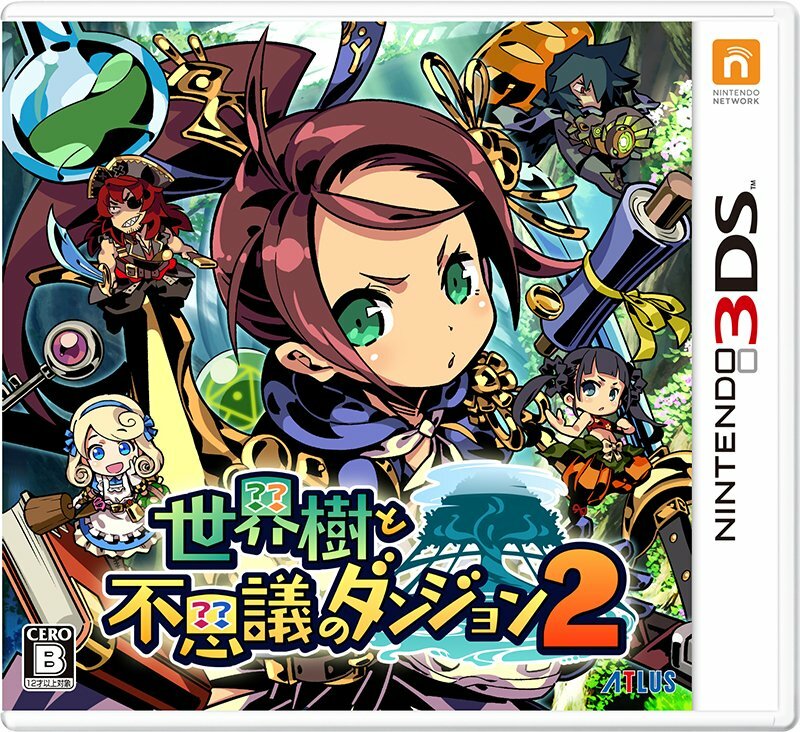 Atlus is now showing off the box art for Etrian Mystery Dungeon 2, this box art is for the standard edition of the game. Etrian Mystery Dungeon 2 was announced back in March, when they detailed that there would be two versions: standard version and the ‘Etrian Odyssey 10th Anniversary Box Limited Editon’. The cover is illustrated by series veteran Hiroshi Sasadzu with the cover featuring Kenkaku, Buccaneer, Alchemist, Monk, and Farmer. All classes you’ll be able to play in Etrian Mystery Dungeon 2. Etrian Mystery Dungeon 2 comes out exclusively for the Nintendo 3DS in Japan on August 31st. Atlus USA has been pretty silent on releasing Etrian Mystery Dungeon 2 or even last year’s Etrian Odyssey V over here in the West. Maybe they have given up on the franchise? I hope not, since the games feature fantastic music by Yuzo Koshiro and you know I love me some Yuzo Koshiro music. What is your thoughts on the game’s cover art? Let us know in the comments below. Shin Megami Tensei: Deep Strange Journey, the refined version of Shin Megami Tensei: Strange Journey from the Nintendo DS. 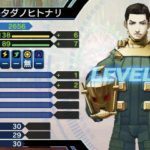 Shin Megami Tensei: Deep Strange Journey will be easier for new players to play, well adding new elements to give the game a ‘deep’ demonic experience. The game adds to offer content for both new and old fans, giving you more reason to double dip on this game. If you check out the screenshots, the game also features a new, slightly changed art style from the original. Though outside of that, the game looks pretty much like the original Nintendo DS game. 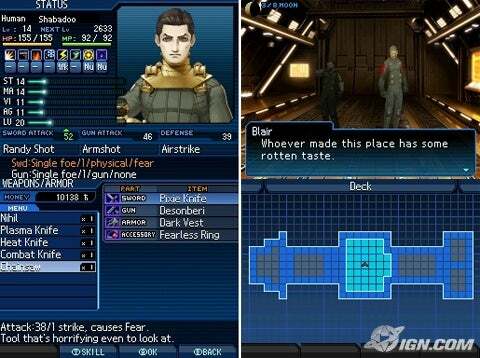 Shin Megami Tensei: Deep Strange Journey hits Japanese store shelves this fall for the Nintendo 3DS. No news on the Western release date, yet.